© 2017 by Alvaro Zinos-Amaro and Adam-Troy Castro. Many years ago, in Shangdong Province, there lived an unfortunate farmer by the name of Dou Zhuo. Like most of us who walk this teeming Earth, he was trapped in the circumstances that fortune had provided him. He owned a patch of land that supported crops only after backbreaking effort, and then with results that betrayed its resentment of the demands he put on it. His cucumbers were bitter, his cowpeas difficult to boil, his leeks over-pungent, his pak choi stiff, and his edible amaranth hardly deserving of its name. Dou burned inside at the unfairness of it all; he saw the universe as a hammer, and himself as an anvil. He might have lived his entire natural span as just a glowering malcontent, raging at fates over which he had no control, but for the success of his neighbor, Gan Shihuangdi. Gan’s watermelons, grapes, squash, coriander, pumpkins, and hyacinth beans sprang effortlessly to life, tender and delicious, making Gan prosperous and corpulent, while Dou’s land afforded him only frustration and want. One evening, in the cooling sunset, Dou was particularly struck by the rich colors of Gan’s produce—a glistening rainbow of vibrant hues—and he pictured the rich bounty he could bring to the annual crop festival if he could somehow annex Gan’s land with his own. What riches he would reap, and how much less sweat his brow would have to exude! As it happened, Dou had inherited some baubles of modest value from his grandmother, a woman of means, but his family had lost most of them to famine and mismanagement. The few jewels that remained had long occupied a dusty chest beneath his floorboards, never adorning the flesh of a woman. He’d never seen any point in having them, but had not until now been moved to sell them, either. The next day, driven by a sudden upswell of hope, he went to a merchant he knew of, and sold the baubles for the best price he could haggle, which was not much, because he had never possessed the charm of a haggling man. But neither was it nothing. His grandmother’s bequest may not have brought him a fortune capable of supporting him in wealth forever, but it did provide him with a sum that in his mind at least should have been enough to compensate the undeserving Gan for the value of his land. So he visited Gan and made an offer, only half of what the merchant had given him, because negotiations would certainly raise the price by what remained. Gan smiled in deference, saying he was honored by the offer, but he was polite in his refusal. Dou offered more. Gan refused again. Dou grimaced and agitated and made it clear that just to make the next offer was to open a vein and spill his life’s blood, and offered all he had secretly been prepared to pay from the start. Gan still refused, and this time made it clear that his land was not for sale—at any price. Dou wheedled and cajoled and almost begged, but in the end saw that he had failed. He was forced to retreat, a cold and hollow sensation hardening in his chest. Dou stormed off and again marched back to his land with leaden steps. That night the spit in his mouth turned to dust, and the cavern in his chest became dark and dank. He sat on his uneven chair with the bad leg, and to save on his gruel that day ate nothing but a bolus, a large pill with herbs. In bed, he experienced cold sweats almost as profuse as those of his daytime toils. Exhaustion overtook him and he slept. His soul traveled an enormous distance, all the way to Shouguang, many miles west of Weifang, and there it alighted on the most marvelous display of vegetables and crops he had ever seen. When he woke his lips were moist and his eyes brimmed with tears. One day, weeks later, breaking his plow on a fresh stone that had somehow managed to survive years of prior attempts to clear the soil for farming, he was overwhelmed by hopelessness. Life, he knew, would never be any better. He threw down his farming implements and left his lands behind, not knowing his destination, knowing only that he needed to be somewhere else. He wandered far to the north, where after a time he realized he was lost, but he did not let that stop him. Nor did he return, at once, to the crops that needed him. It was as if his legs knew his destination, even if he did not. In early afternoon, he spotted a magnificent palanquin moving down a barely discernable dirt path, toward gray mountains in the far distance. It was so inset with jewels that in the blazing daylight it glimmered like fire. The soft notes of a seven-stringed quin drifted in the air as it passed by, and bewitched him into following. He would not have been surprised to find that it was carrying the dead to the land where the dead go, but he trudged until his legs ached, and many hours later found himself before a narrow metal gate tucked into an imposing granite wall. The palanquin had disappeared behind the wall, and the gate was now shut. “Then I will expect to see you when you return,” said the gatekeeper. Dou’s shoulders slumped with resignation and he set upon his journey home, his path illuminated only by faint starlight. Three days later, he arrived back at the same place, but the metal gate was not there. After running his hands across the large granite blocks that made up the stone wall, he eventually traced a path to the tight gate, which seemed to have moved. He shook off his journey’s dust, stood squarely, and presented his humble visiting card. The gatekeeper left his post. A long time later, he returned, a curious rictus on his face, and without a word opened the gate. “Su Feiyan will see you now,” he announced with absurd formality, and closed his eyes as Dou entered the splendid grounds. Dou heard the soothing tones of a piba-mandolin, and he followed them to a pagoda that seemed to grow, mushroom-like, directly out of the mountainside. It was a scented place, surrounded by a garden greener and cooler than the land that surrounded it, so peaceful in its way that even Dou’s raging blood calmed, if only a little. He drew close, not knowing whether he should enter without invitation. Then an ancient man emerged from the pagoda, wearing a silk mandarin cap the likes of which Dou had never seen. The man performed the form of salute known as the bow with clasped hands, or gongshou, and then seemed to look without effort into Dou’s innermost being. “You have traveled a long way,” Su Feiyan said. Dou removed the knapsack from his back, where its leather straps had long left callouses on his skin. “Your estate is secluded,” he noted. Dou whirled on hearing Su’s voice from such an unexpected direction. “Benevolence without bread is like sky without air,” he said. Su reappeared in front of him. The master assassin set about his exercises. He tiptoed up the side of the mountain and leapt down to the ground, landing softly like a bird. He disappeared into his estate’s large water fountain and emerged above the surface, walking on the water, each footstep a ripple echoing like the chime of a soft bell. He caught the evening mist with his toes. He seized several ounces of sunset inside a snuff bottle made of tortoiseshell, where they would remain pristine until the end of the world. He stretched the hour of the rooster into an entire day. Dou fled. There was no other word for it; though his legs still ached from the journey here, he ran with a fleetness of foot that he would have imagined years behind him, and did not stop until his own sad estate appeared, pathetic but welcome, in the near distance. Only then did he fall to his knees, gasping, feeling nothing but relief at his successful escape from powers beyond his ken; and it was only after a long time spent shaking that a smile tugged at the corners of his lips, for he knew that there was no way the hated Gan could possibly survive the attentions of one so powerful, so gifted. Over the next two months, Dou’s life changed little. It remained an exercise in struggling to summon life from earth that had little interest in obliging, earth that instead seemed intent on presenting him with one frustration after another. He slept poorly, woke exhausted, and drove himself to worse exhaustion battling the pests that seemed to mock his sweat while holding Gan’s sacrosanct. At night he lay awake, desperately holding on to the memories of his visit to the assassin, while fearing those delusions brought on by hunger. Then came the morning of the festival. Dou had fasted the night before to keep his mind and body focused, but he was so full of anticipation that he experienced neither hunger nor thirst, only a certain weakness that was hard to distinguish from his usual tiredness. Before dawn, he loaded his wobbly cart with as fine a sampling of his land’s issue as he could muster, though it all seemed poor and sickly by comparison to what Gan usually offered. Then he took the handles and trudged to town, thinking dark thoughts of promises broken, and burdens that would always be his. Arrival at the festival did not lighten his mood. It had already begun and he was, in fact, a late arrival. Many of the merchants from the great cities to the north, resplendent in the gowns of their class, were already strolling among the displayed bounty, judging its quality while their obsequious retainers took notes of their every pronouncement. Not every farmer had wares more impressive than Dou’s. There were some almost as poor as his own, but not many, and along the center aisle where the village had erected tents with amusements for visiting children, where the region’s most prosperous farmers all displayed the products of their past year’s labor, were many whose yields were almost as impressive as Gan’s. There were in truth a few worse off than Dou and a few better off than Gan, but they still occupied opposing sides of the spectrum; and while even the most successful irked him, none brought out his inner rage as much as the man whose land abutted his, whose property line seemed to mark the border between Dou’s hostile earth and a more generous one. The mere sight of Gan, traipsing between the stalls, bowing to all he met, was enough to fill Dou’s mouth with the taste of copper. Su nodded and left him. His progress through the crowd was as deft as anything Dou had seen, a genuine miracle of threading himself through heavy foot traffic without ever finding himself blocked by other browsers in his path, or for that matter calling attention to himself; only Dou, watching from behind his cart, paid enough attention to him to be dazzled by the simplicity of every movement, and only Dou saw his fingers dance on the back of the hated Gan’s neck. In that moment, several customers decided to sample Dou’s goods, and Su disappeared. When the customers moved along to the next table, without purchasing anything at Dou’s, the assassin returned, waiting for his response. This time he wove his way through the crowds and reached Gan’s table. He moved like a scrap of silk caught in a high wind, weightless and beautiful, until he struck Gan on the neck with an open palm. This time Gan went pale and fell to his knees, his eyes rolling back in his head like any other man whose body has betrayed him. A few nearby onlookers cried out, certain that something had gone terribly wrong; but then he recovered and stood again, confused, as the strength returned to his limbs. He did not appear to be aware that he had been struck, and indeed he looked right through the assassin without seeing him at all, as Su nodded and returned, with equal grace, back to Dou’s side. Dou’s skin crawled. He could not deny, now, that Su was as deadly as any venomous serpent, but across the way, Gan appeared to have shaken off his moment of weakness as though it had been nothing more than a fainting spell. Already, he was greeting an interested merchant with more of his infuriating charm. His index finger flashed, striking Dou’s forehead twice. Dou reeled under a moment of unimaginable pain. He fell back, arms flailing in the air, and slumped off his table. Then the spell passed, bringing with it a moment of profound calm. He took a deep breath, followed by several more, then blinked and stared at the assassin in disbelief. He turned his back and walked away, melting into the crowd before he had progressed five steps. It was the last time Dou would ever see him, save in his dreams, which were always peaceful, and free of turmoil. That night, to celebrate his freedom, Dou brewed the Dragon Phoenix Cake tea that his wife had been so fond of, and he slept like a child. Over the course of the following year he tackled the challenges of his land with newfound vigor. He was rewarded with succulent balsam pears, sweet onions, crisp, mild radishes, and bushels of tender water spinach. On one occasion he found himself in need of an additional kuan, or iron plowshare, and after only a slight hesitation asked his neighbor Gan. Gan at once lent it to him, and with it Dou planted long lines of cabbage seeds. Some time later, after a particularly bountiful day, Dou invited Gan over for evening tea, and they exchanged a pleasant conversation. Dou had Gan sample his fruits and vegetables, and after tasting them, Gan’s face seemed to glow with an inner light, particularly when he tried the cabbage. That spring they took their crops to the market together and displayed their wares on a single large table, splitting the proceeds. During the winter, Gan helped repair the cracks in Dou’s farmhouse, and in exchange Dou taught him ways to save on fertilizer. They made plans to build a waterwheel that would feed from a nearby river and provide irrigation to both farms; within a year, had made those plans a reality, splitting the costs and more than doubling their crops. By the summertime, the two men, middle-aged, agreed to get together for a game of xianqi once a week, and they kept this tradition alive for many years, not allowing even illness to interfere. Eventually, both of the men realized they were old enough to consider retiring from the farming business. They got to talking about their youths, and the old days, and the legend of the Black Touch, that ancient organization of divine assassins famed and feared for its mastery of life and death; death-mongers so talented that they did not even need to kill. The conversation inspired Dou to hug his neighbor. He was glad he did, too, for some weeks later Gan lay in bed feeling the special fatigue that is death’s own visiting card. As the sun rose and fell, as the clouds heaved and shifted, Dou stayed by Gan’s side and watched his friend grow weaker and increasingly divorced from this reality. “You have been a dear friend to me,” Dou said, even though he was no longer sure Gan could hear him. But Gan smiled. Cicadas sang their evening song; a light, humid rain fell; Dou shed a silent tear. When the end finally came for Gan, Dou squeezed his hand and stared into his dissolving gaze with a beseeching intensity. Silently he mourned that his neighbor’s life couldn’t have lasted one more heartbeat. Alvaro is co-author, with Robert Silverberg, of Traveler of Worlds: Conversations with Robert Silverberg and When The Blue Shift Comes. Alvaro’s more than thirty stories have appeared in magazines like Analog, Nature, Galaxy’s Edge, Lackington’s, Mothership Zeta, and Farrago’s Wainscot, as well as anthologies such as The Mammoth Book of the Adventures of Moriarty, The Mammoth Book of Jack the Ripper Tales, The Year’s Best Science Fiction & Fantasy 2016, Cyber World, This Way to the End Times, Humanity 2.0, and An Alphabet of Embers. 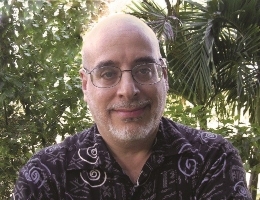 Alvaro’s nonfiction has appeared in The Los Angeles Review of Books, Tor.com, The First Line, Asimov’s, Strange Horizons, Clarkesworld, Foundation, The New York Review of Science Fiction, and Intergalactic Medicine Show; he also edits the roundtable blog for Locus. 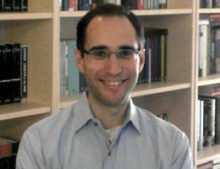 Alvaro may be found at his website, Twitter, and elsewhere online.